Civil aviation body goes to Category 2 for the first time in nearly two decades. The U.S. Federal Aviation Administration (FAA) downgraded Thailand’s safety rating Tuesday after its civil aviation body failed to conform to international standards. According to a statement by the FAA, Thailand’s Department of Civil Aviation (DCA) went from Category 1 to Category 2 for the first time in nearly two decades because it “does not comply” with international safety standards. The downgrade means that Thai airlines will not be allowed to establish or expand services to the United States either directly or as code-share partners. 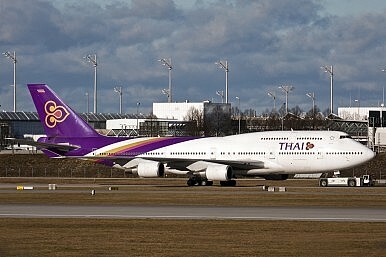 While the FAA did not explicitly elaborate on the specifics of Thailand’s deficiencies in its statement, it said that a Category 2 designation meant that Bangkok either lacked the regulations necessary to oversee air carriers or that the DCA “is deficient in one or more areas,” which include technical expertise, trained personnel, record-keeping or inspection procedures. These issues are not new – indeed, the move follows a series of concerns raised about Thai air safety standards in recent months. In June, the International Civil Aviation Authority (ICAO), a United Nations body, downgraded Thailand to Category 2, with its January audit red-flagging the country for deficiencies in several areas. The FAA also noted that its announcement followed ongoing discussions with the Thai government which concluded October 28. The direct impact of this FAA downgrade may seem minimal now, especially since it only applies to the United States and the only Thai carrier to operate there – Thai Airways International – suspended operations in October. But such decisions also tend to affect the views of civil aviation authorities in other parts of the world as they assess services by Thai carriers to their countries and territories. Already, an alert by ICAO earlier this year resulted in restrictions on Thai chartered flights as well as increased inspections in some countries. The European Union’s European Aviation Safety Agency (EUSA) is due to release the results of its investigation later this month. “If Thailand’s air safety rating is downgraded by international aviation agencies, Thai airlines will face the loss of goodwill, higher operating costs, and increasing competition from foreign carriers,” Wisuta Jaengprajak had warned in a note for Siam Commercial Bank’s Economic Intelligence Center back in June. There are also anxieties about what effects this could have on tourism in Thailand, which is a major growth driver and accounts for around 10 percent of the country’s gross domestic product. Thailand was initially assigned a Category 2 rating by the FAA in 1996, but received a Category 1 rating in 1997 which it retained following reassessments in 2001 and 2008 up until this year. It is a move that does not augur well for U.S.-Thailand relations.